Authentic Puebloan Lunch in Taos Pueblo. Includes entry fees into Taos Pueblo, a traditional pueblo style lunch and your horno baked bread loaf. As you travel through New Mexican tribal lands, you’ll often see domed adobe structures in backyards. These horno baking ovens offer heated arched doorways to yeasty goodness and while they can be used to roast meats or cook stews, they are often used to make baked goods including bread. Take your chance to not only visit Taos Pueblo, a World Heritage UNESCO site, but to participate in the decades long bread baking heritage while getting an insider perspective on traditional Puebloan life. With this tour, you’ll get a special immersive insider experience into the lifestyle of these multi-storied continuously inhabited adobe buildings, which have existed for over 1000 years. 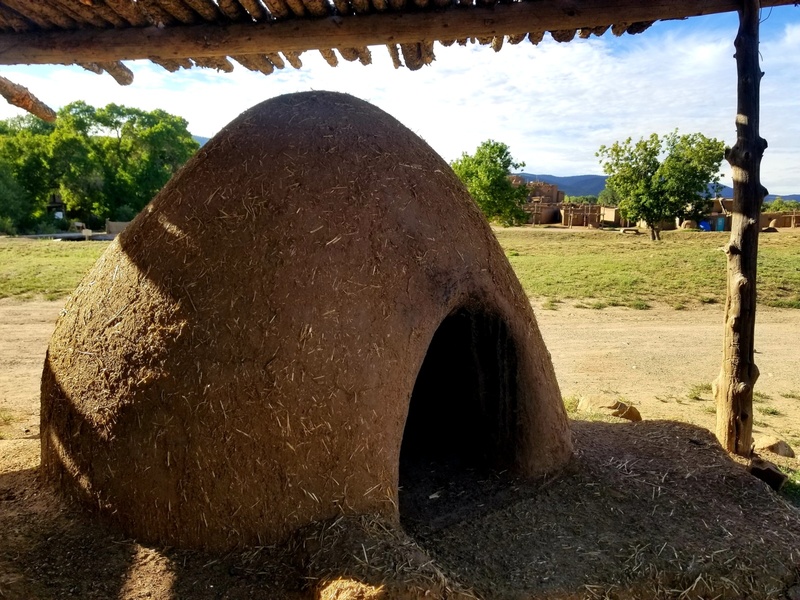 You’ll start with an expert introduction to original horno construction and an explanation of how the horno has been adapted and cultivated within Taos Puebloan structure. 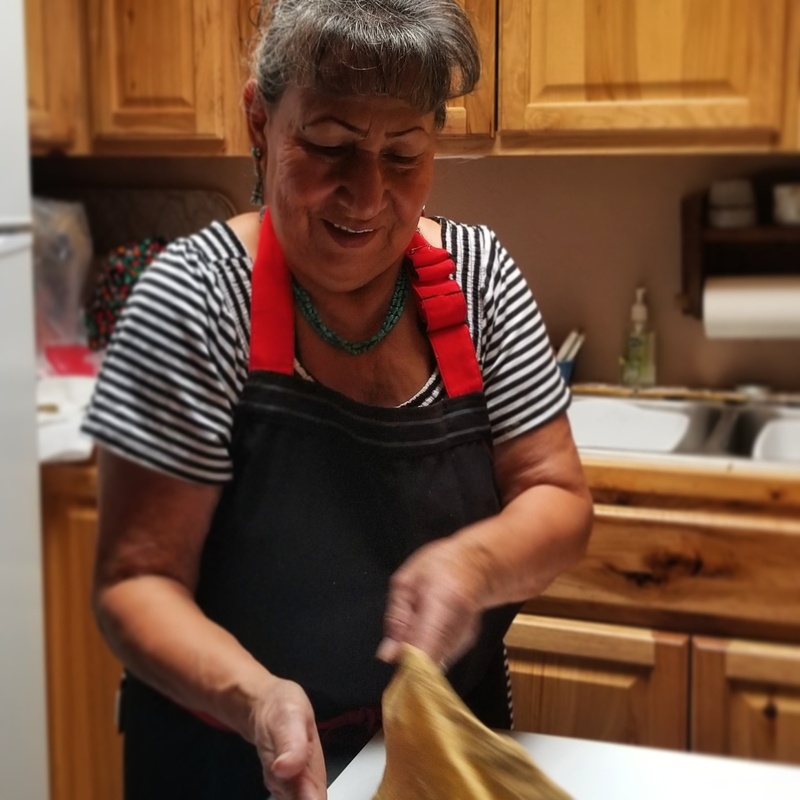 With guidance from Taos Pueblo tribal member Geronimo Romero, you’ll hear all about how his cooking and baking skills have been perfected over his lifetime by using both indigenous and contemporary ingredients and techniques. His late mother, Crucita Romero, passed family recipes down to him and his siblings, from many generations of knowledge and skill, and his desire is to create and share inspired and healthy food alternatives for his community and visitors alike. With insights into the science of horno utilization, the containment practice of heat, and the importance of hornos throughout Puebloan cuisine, you’ll be geared up and ready to work your own dough and bake your own loaf, all while learning about the horno’s importance in cultural traditions, like feast days and special events. After you’ve kneaded, designed (shaping the design is important!) and baked your bread, you’ll explore the Taos Pueblo, meet local artisans, and enjoy a traditional Puebloan lunch at Bertha’s Al’Thloo’s Café. Al’Thloo means grandmother in Tiwa and reflects the locally inspired home-made specialties like chicken stuffed fry bread and pinon coffee. As you walk through the Pueblo, you’ll experience a mix of artistic perspectives, all of whom make and sell their authentically crafted items within the historic village. 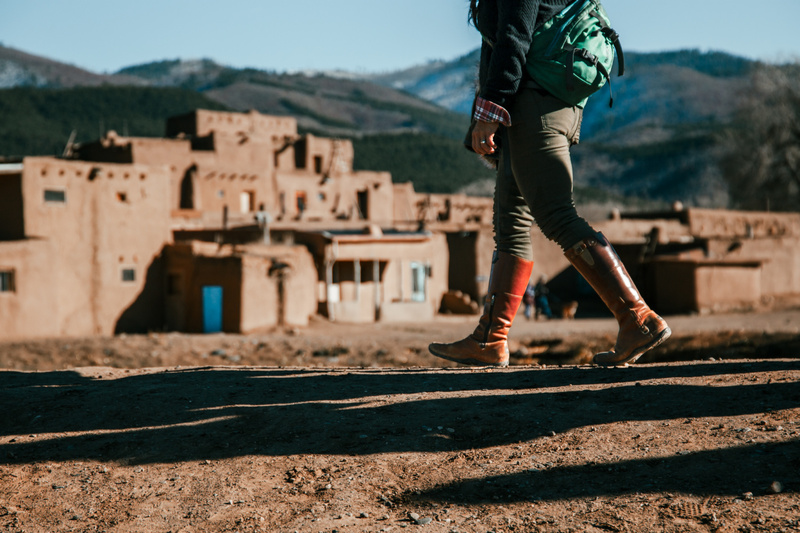 If you’re wanting a more authentic Taos Pueblo encounter, then this is the day trip for you! Book this tour in order to learn how to make bread in a horno, to visit with tribal members and to hear about their heritage and practices, and to explore this long-living native community.